What is the role of innovation in international development? What does that word mean to the hundreds of millions of people living in abject poverty? And how should technological advances be used to help these people improve their situation? In a guest op-ed on Devex.com, TechnoServe President and CEO Bruce McNamer tackles these questions. What is the role of innovation in international development? What does that word mean to the hundreds of millions of people living in abject poverty? And how should technological advances be used to help these people improve their situation? Read the full op-ed at Devex.com. In East Africa, TechnoServe is testing innovative models for creating a profitable agribusiness that builds wealth in small farming communities. 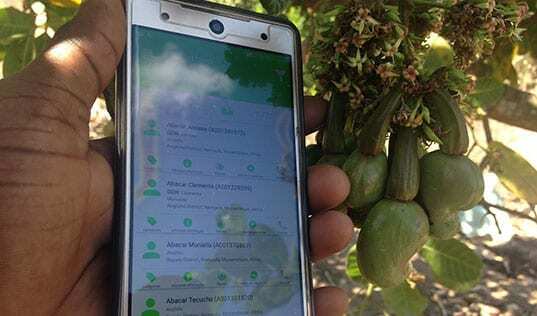 For smallholder farmers in Kenya, an outgrower model integrating information and communications technology has the potential to double their incomes.